Lilli Gordon, CEO & founder of First Aid Beauty (FAB) started this skincare line to cater to the needs of individuals who suffer from serious skincare problems, and are tired of searching for the perfect remedy. Select products also boast FDA-approved over-the-counter formulations that target specific skin issues such as eczema and acne. 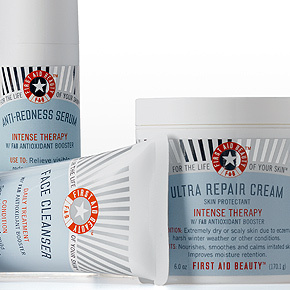 The result is true first aid beauty and a collection of products that may be used safely by even the most sensitive skin types. 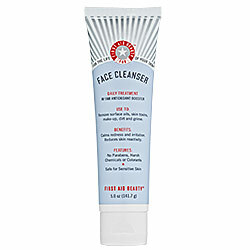 The first product from First Aid Beauty I will review is the Face Cleanser – Daily Treatment with FAB Antioxidant Booster ($18). FAB Face Cleanser is ideal for sensitive or irritated skin, skin that is undergoing treatment, or as a gentle alternative for healthy skin. Preserves the natural oils that protect the skin. Calms redness and irritation. 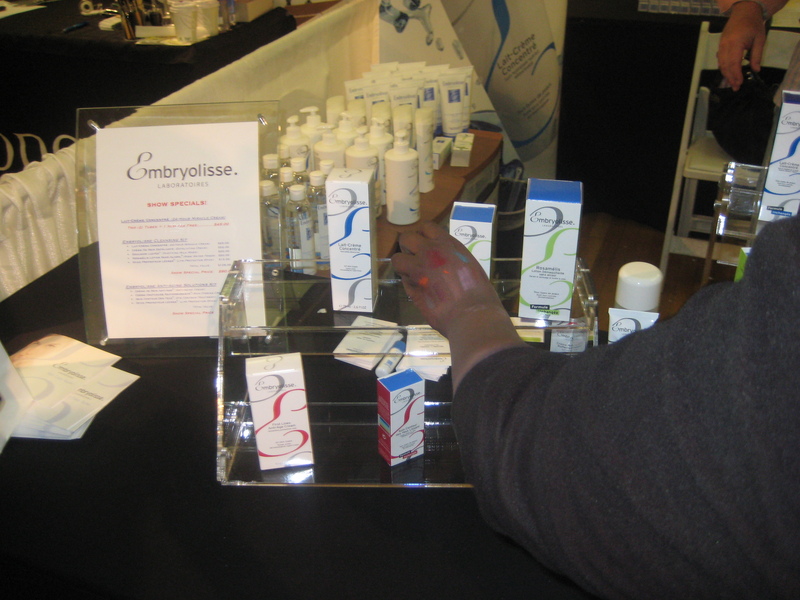 PH-balanced to maintain the natural acidity of the skin. Daily use will result in fewer flare ups and reduced skin reactivity. My thoughts: (Rating: 4.5 out of 5) I don’t really have any complaints about this facial cleanser. I have been using this product for the last three weeks. Prior to that I have been using Clean & Clear’s Continuous Control Acne Cleanser (Read About It Here) to stop breakouts. After using FAB’s cleanser, I noticed that I was getting the same results as I was getting with the Clean & Clear product, just without all of the burning & stinging. I used this product twice a day – in the morning & evening; this product left my skin feeling fresh & clean without over drying it or leaving it feeling greasy. This product is also an effective makeup remover as well. 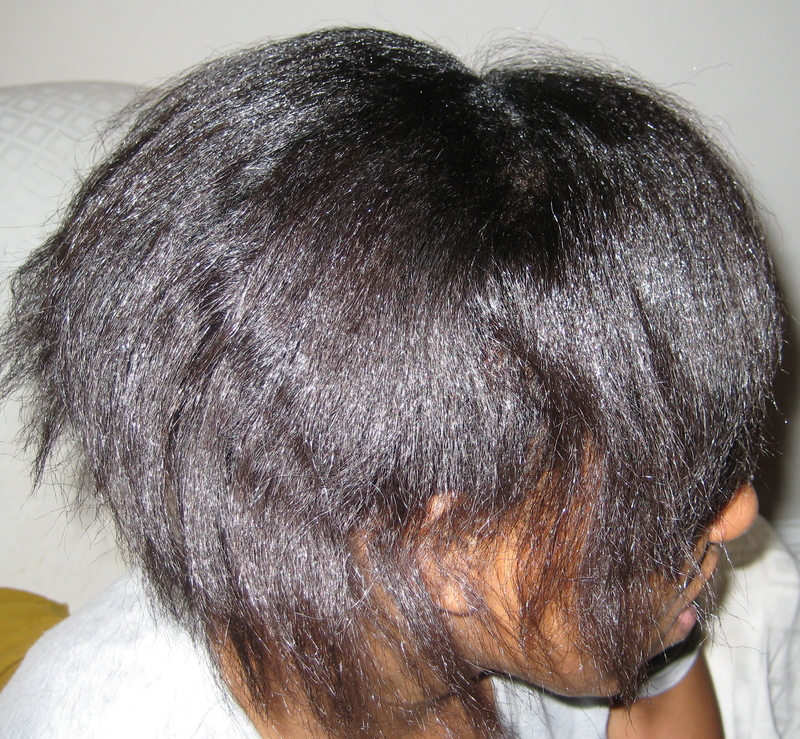 I also love the consistency of the product; it’s like a mousse. It’s also highly concentrated, so you only need a little. I gave it a 4.5 out of 5 because of the price. I think it’s a little expensive, which may not bother some people. I would like to try their acne/blemish control product. Another product that was sent to me for review was their Ultra Repair Cream (6 oz for $27). FAB Ultra Repair Cream is for anyone with severely dry, scaly skin due to harsh winter weather, aggressive cosmetic treatments or any of the following conditions: psoriasis, atopic dermatitis, irritant eczema, allergic eczema, seborrheic dermatitis, keratosis pilaris. Hydrates, calms and smoothes skin. Improves natural barrier function. Relieves minor skin irritation and itching due to eczema and other conditions. My Thoughts: (Rating 4.5 out of 5) If you know me you’ll know I am obsessed with creams & moisturizers for the body especially if they make my skin feel super soft. I love how this product made my skin feel. 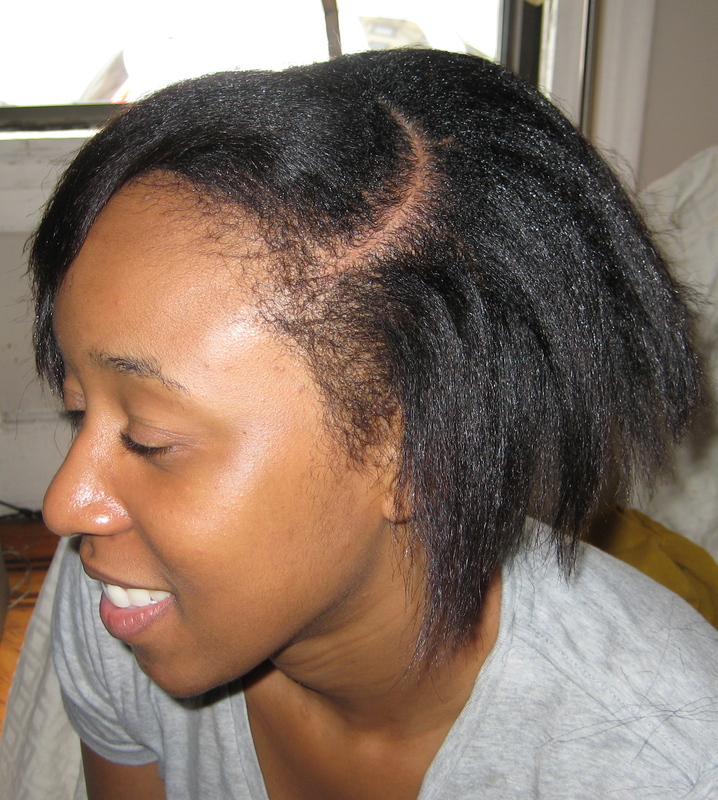 Due to this harsh winter weather we had this year in New York, my skin took a beating. Even though I exfoliate almost daily, my legs had a little scaly-ness to them. I was using this all over my body after showering, and within a few days (no joke) my skin was just as soft & smooth as a baby’s bottom, my feet too! I like that it’s creamy, and it soaks right into the skin instead of sitting on the top. I even tried it as a facial cream a few times, and it worked perfectly even under my makeup. It didn’t even feel heavy or greasy. 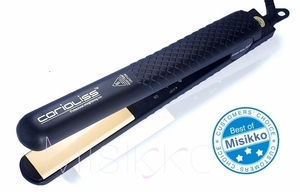 It has a very faint eucalyptus scent that fades almost immediately. I only gave this product a 4.5 out of 5 because of the price. $28 seems a bit extreme for a jar of cream, but I guess it is worth it. I just can’t see myself spending that much on a cream though. I do recommend both products to people with sensitive skin. 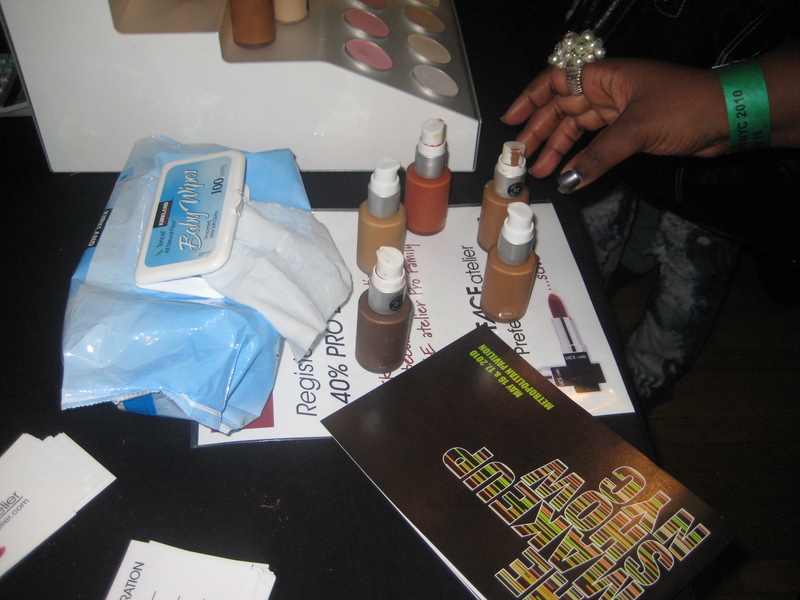 First Aid Beauty is sold exclusively at Sephora or you can purchase their products from their website First Aid Beauty. 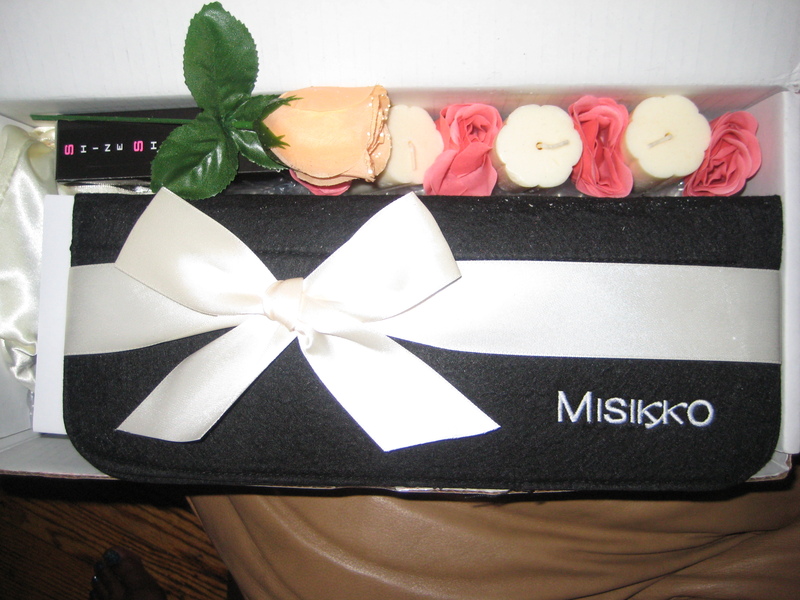 FTC Disclosure: The products reviewed were sent to me by a PR Company for free. I was not paid for this review, nor am I affiliated with this company in any way, shape or form. This is my honest opinion. 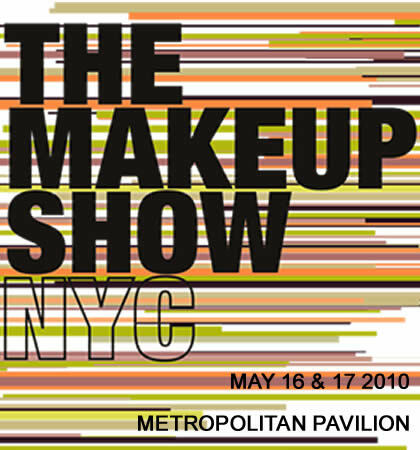 I attended the first day of The Makeup Show on Sunday, May 16th. I arrived at 10:30 am armed with $200 cash, and my cards (separate post for the haul). I left around 4pm, and I did stay within my budget ( a little lol). 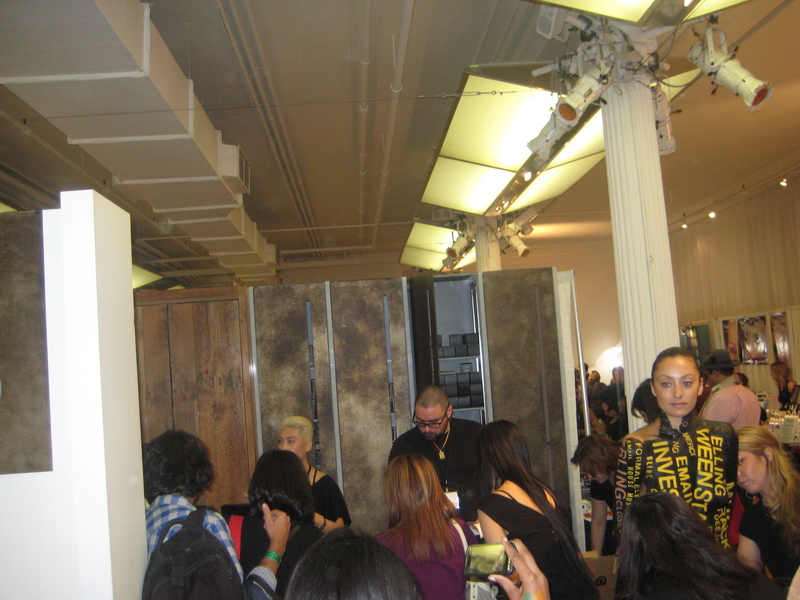 The very first booth I stopped by was Smashbox since it was right at the entrance. They had good pro kits (highlighter sets, lipgloss, bronzers, correctors etc) at discounted prices, and if you had a Smashbox pro card, you were able to get an additional 10% off. Not bad. They, like some of the other companies allowed you to sign-up for their Pro Discount Program’s on the spot. 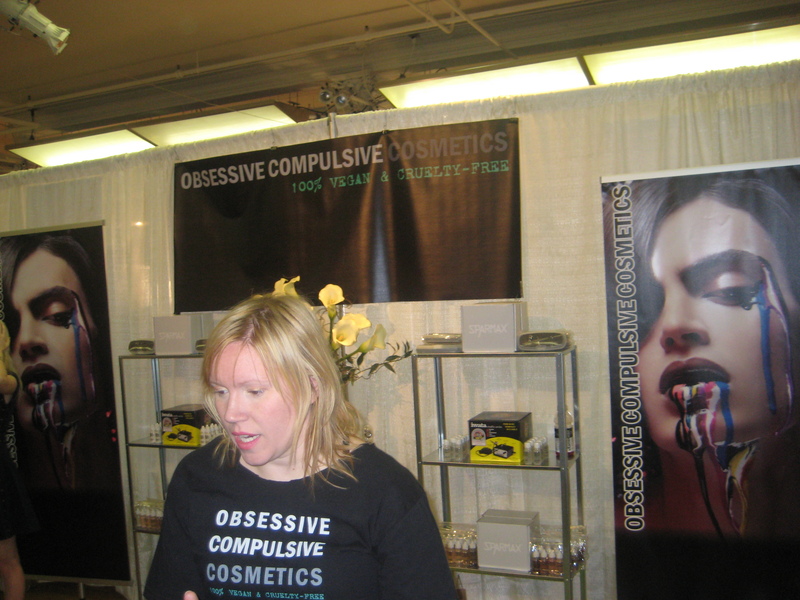 I ran into my very first college roommate, Lisa Hayes at this booth as well. That made my day because she was a sweet heart, and she was always great at doing makeup, and it’s always good seeing people doing what they love and are excellent at. We also ended up at the same workshop. I shopped from 10:30 – 2pm, which was when the workshop I signed up for began. I will do a separate post/review on the workshop later this week. 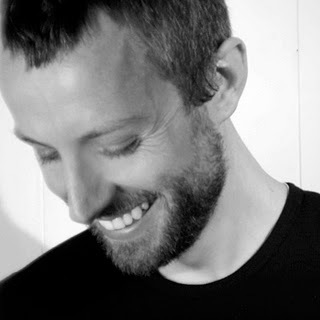 I jsut want to say Jon Hennessy is so cute .:lol:. and is such a nice man. All of the booths were busy, however, the following booths were CRAZY! 1. 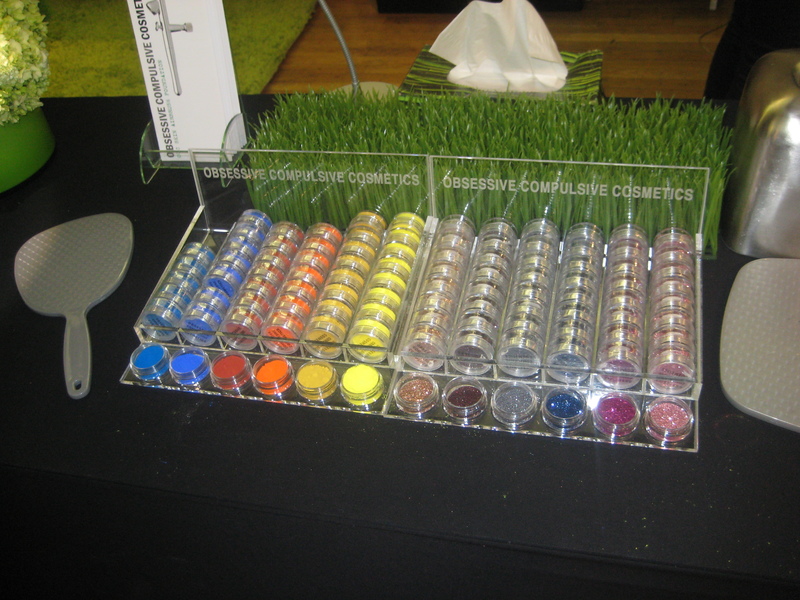 Inglot – They have highly pigmented eyeshadows at an affordable price. Another plus about their products are that you have the ability to create your own palettes; you can create a 4, 5, or 10 palette with either round or square eyeshadows. The prices range from $20 -70. This booth was so crazy I had to go and come back (big mistake). When I came back, it wasn’t any better. I ended up staying around to make my palettes & that ended up taking a full hour and some change (NO JOKE!). they ran out of the “Freedom Palette” trays, so you had to wait around til someone was finished in order to start your own. I only bought two, so imagine if I bought more, how long it would have taken for me to get it back. 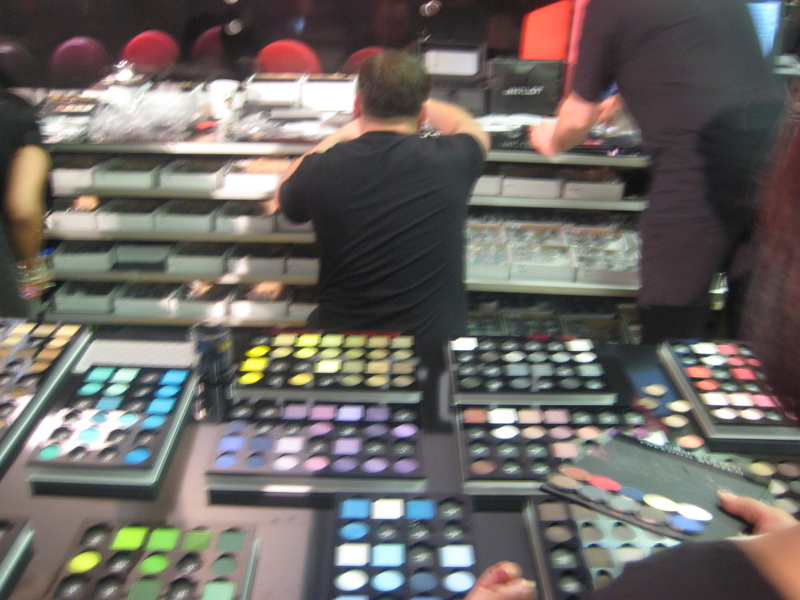 The guy at the booth said 15 minutes & my palettes would be ready… it took more like 30. Next year they need a better system. the staff working this booth weren’t too nice either. I guess they were stressed dealing with all of the people. 2. 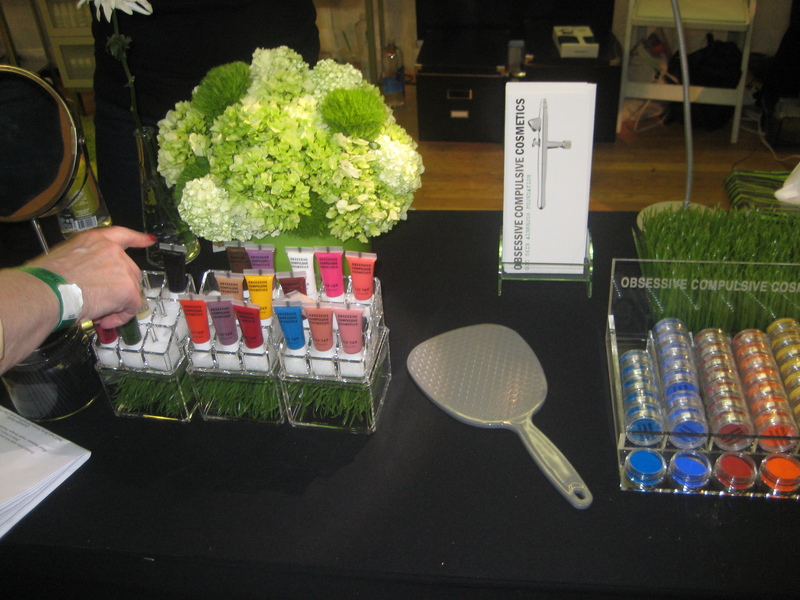 Crown Brush – This booth was crazy because they have extremely low -priced brushes! 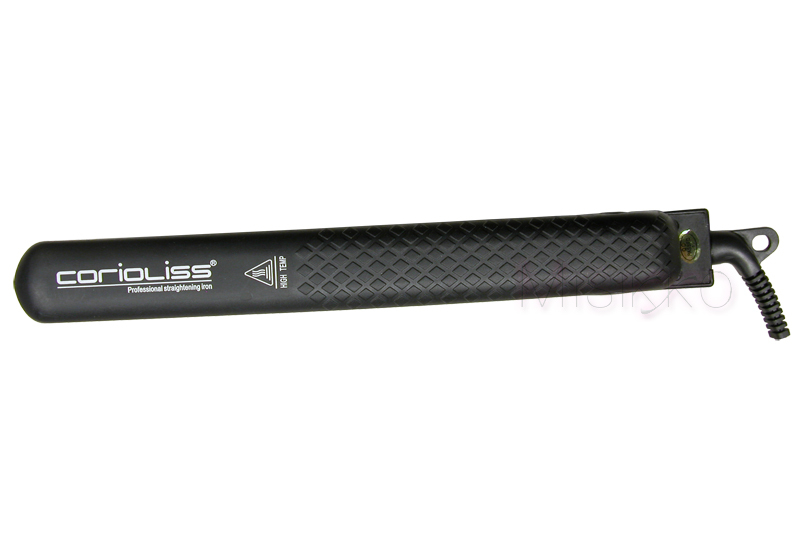 They are a private label brush company but they also sell directly to the public. If these brushes look really familiar to you it’s probably because etailers you already know of sell their brushes! 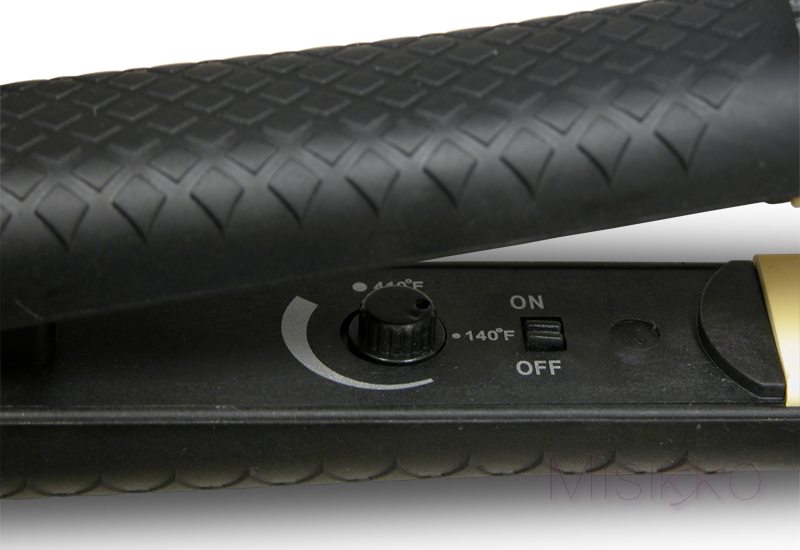 I know Coastal Scents does, and many others too.I bought a mascara fan brush for $2. 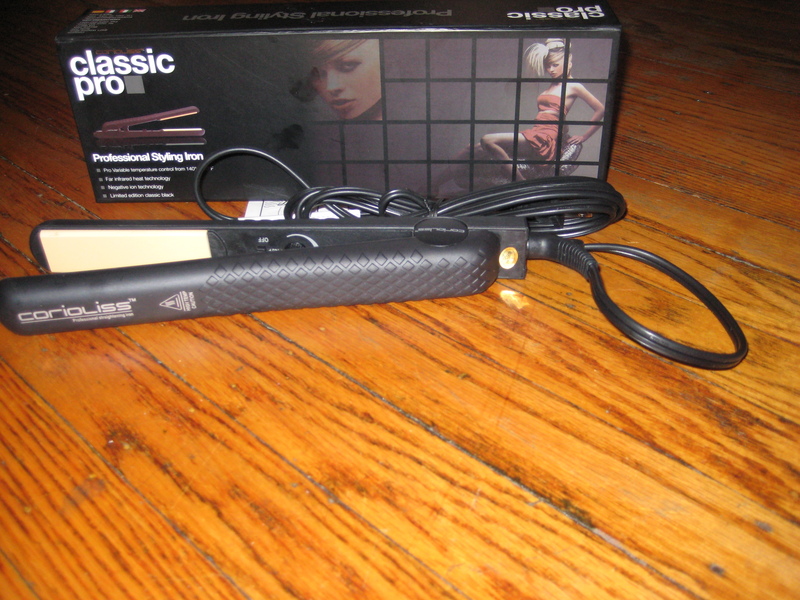 I finally ended up purchasing a new brush belt, which was $15. 3. 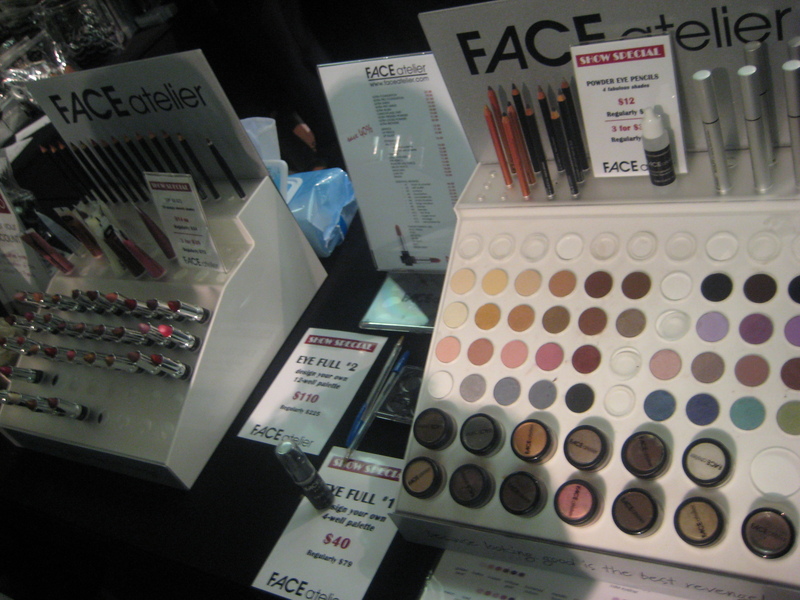 Face Atelier – This booth was crowded not only because they have great products, but they also debuted their five new shades for women of color. I was able to pick them all up for $90, which was a Makeup Show only deal. I’ll have to swatch & review in another post. 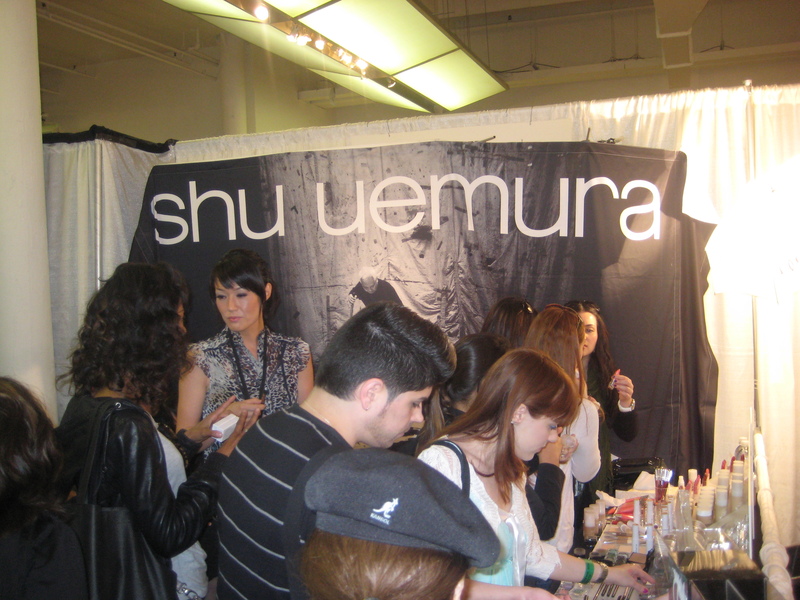 the staff working this booth were very nice & helpful. 4. 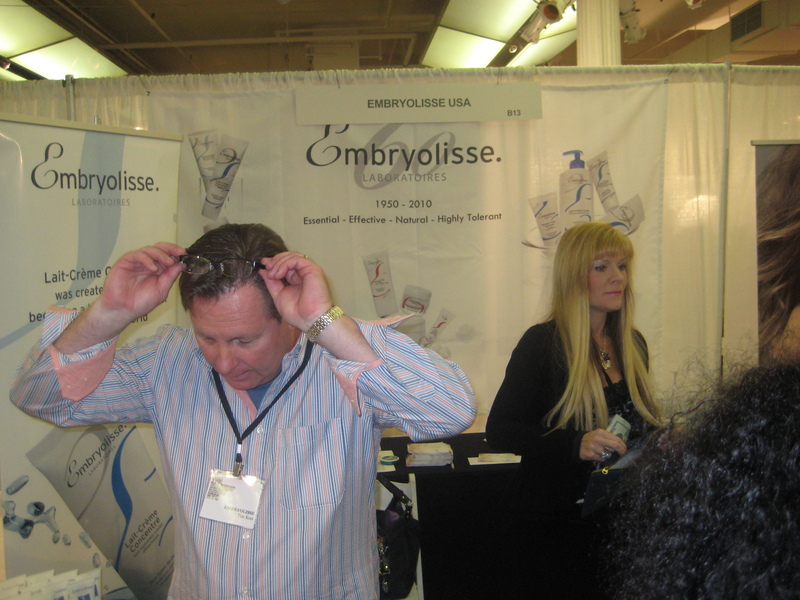 L’Oreal – I didn’t get a chance to stop over there but, it was crowded. 5. 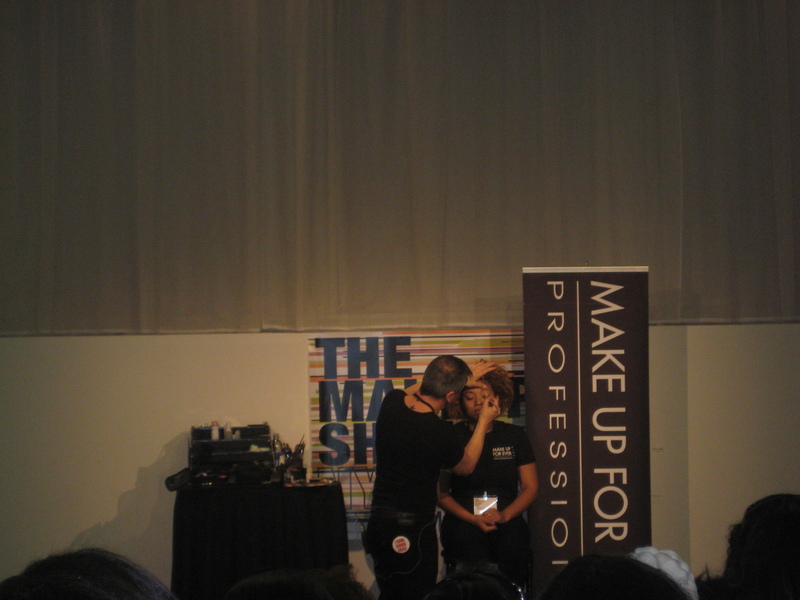 Make Up For Ever – The line for Make Up For Ever was SUPER long. I didn’t even try to go there. Plus, the discount they were offering (40%) is the same I get now anyway. I can always head to the city to their boutique if I needed anything. 6. 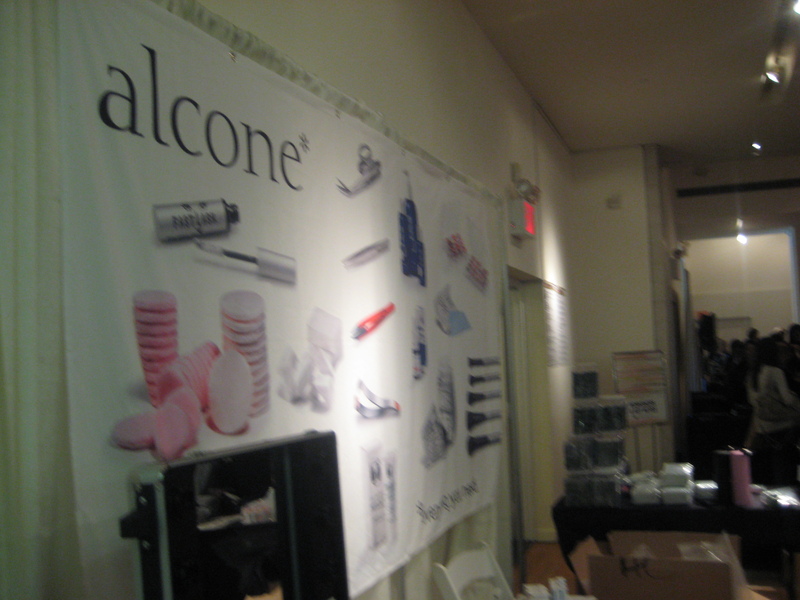 Alcone Co – Make up artist supply haven based in New York City. I bought a pack of their great wedges, which was $16. I also picked up a bottle of spray brush cleaner by Beauty So Clean for $20. 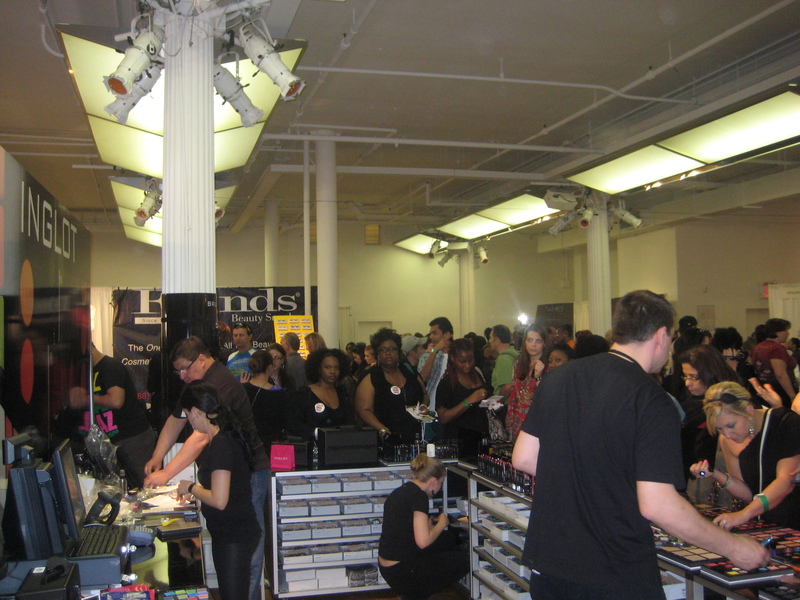 There were other booths similar like Naimies, Frend’s Beauty Supply, Makeup Mania, and Nigel’s Beauty Emporium. 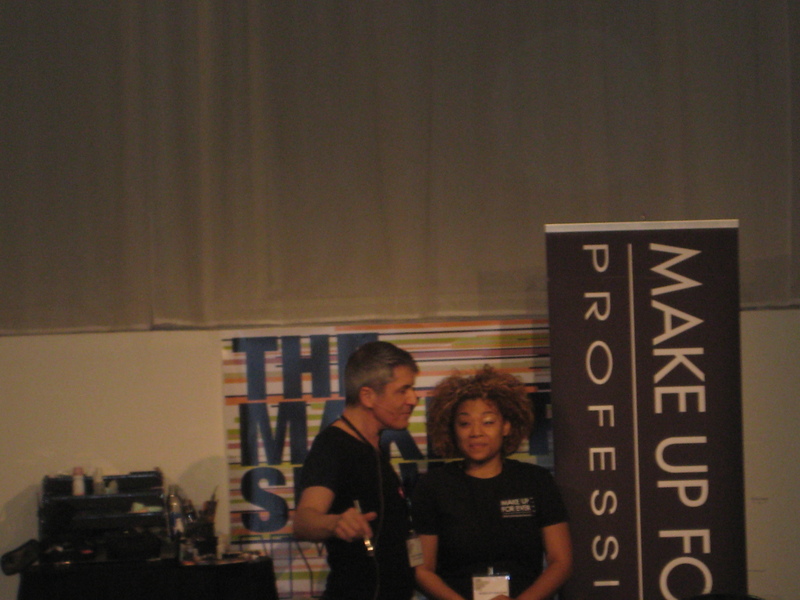 Overall, I had a great experience at The Makeup Show. This was a great opportunity for networking, and learning. I really wish I was able to attend today. I ran into a lot of people (hey Tysh from Addicted2MU and AmeriTrini from youtube). 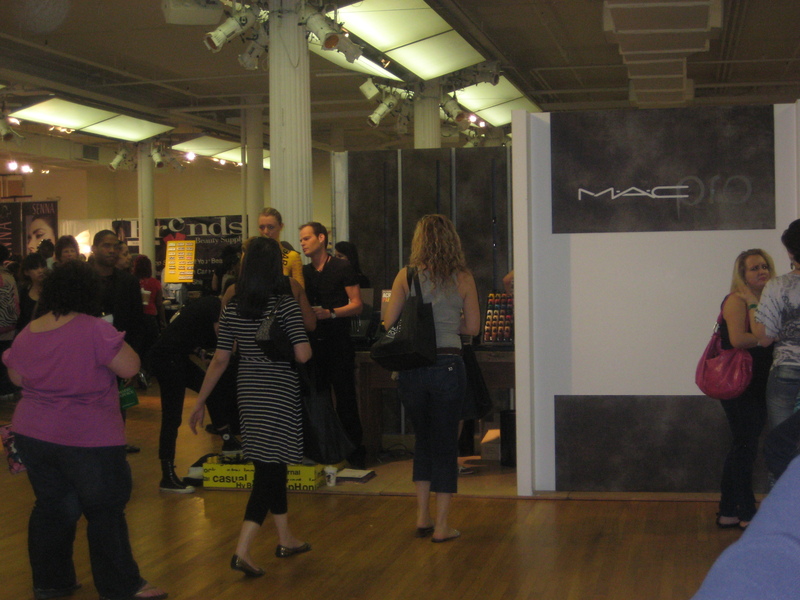 There were still a lot of youtubers, MUA’s, bloggers, and twitter peeps I wasn’t able to meet yesterday. Also, there are MAJOR sales going on today; Stila lowered their prices – everything is 50% off, and YB Cosmetics is having buy one get one deals. Please stay tuned for my haul post, and my workshop review.